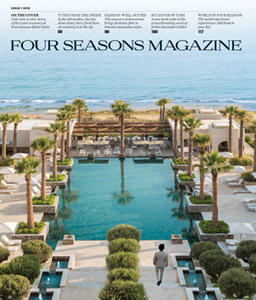 With the opening of Four Seasons Astir Palace Hotel Athens, discover this city of ancient wonders, in the midst of a cultural reboot, like you've never seen it before. Nowhere do I feel more inspired and energized than in the great city of Athens. As an Australian of Greek descent, I’ve been coming here my whole life. I’ve always had a strong spiritual connection to Greece, but it was a visit to Athens five years ago, when I was living between Limassol and Detroit, that really drew me in. I moved to London, and my frequent visits to Athens soon became extended stays. And then more: Drawn by the ubiquitous signs of a cultural revival, I’ve been living and breathing Athens for three years now. New residential developments, marinas full of super-yachts and increased flights into the Greek capital are clear signs of an upswing – but the real foundation of this evolution is the people of Athens themselves. “The energy of the mind,” Aristotle said, “is the essence of life.” As I’ve been eagerly observing the progress and transformation of this vibrant metropolis, its citizens have never looked more ambitious. They’ve reimagined their city beyond its ruins and ancient history, and it’s time for the rest of the world to get acquainted with the modern side of Athens. The eclectic and dynamic nature of today’s Athens stretches from the city centre to its sun-kissed coastline and Blue Flag beaches – a designation indicating the city’s commitment to people and the environment. First-time visitors will rush to the Parthenon, and so they should. 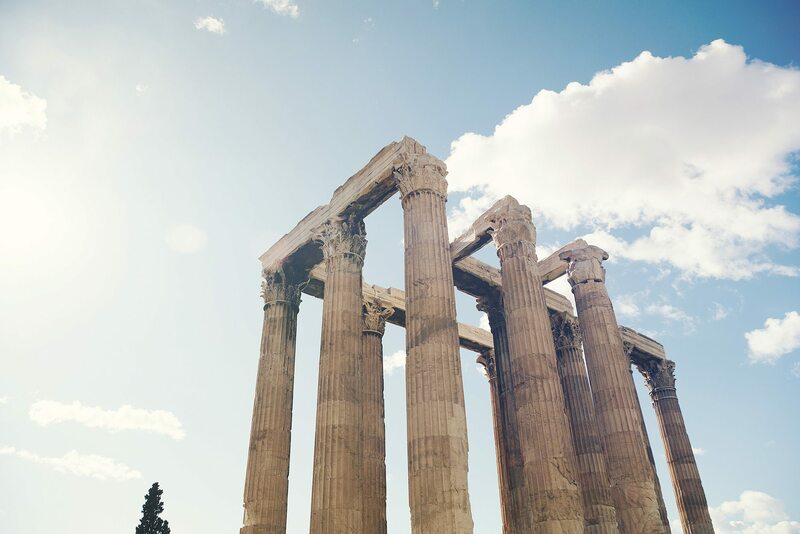 The sacred temple within the ancient citadel of the Acropolis has defined Athens for thousands of years; it stands over the birthplace of much of Western philosophy. Even though I’ve been coming to Greece all my life and now call it home, I still climb the Acropolis regularly and leave filled with wonder and pride. I’ve looked out on Athens from the belvedere platform countless times. From this perch, the conspicuous charms of the city present themselves – old and new worlds woven together by majestic avenues and the legacies of people who, through the ages, have left their stamp on this spectacular view. I look over to the colossal columns of the Temple of Olympian Zeus, completed by Roman emperor Hadrian in the second century AD, to the Hellenic Parliament, built less than 200 years ago when Greece won its independence and Athens became the capital. 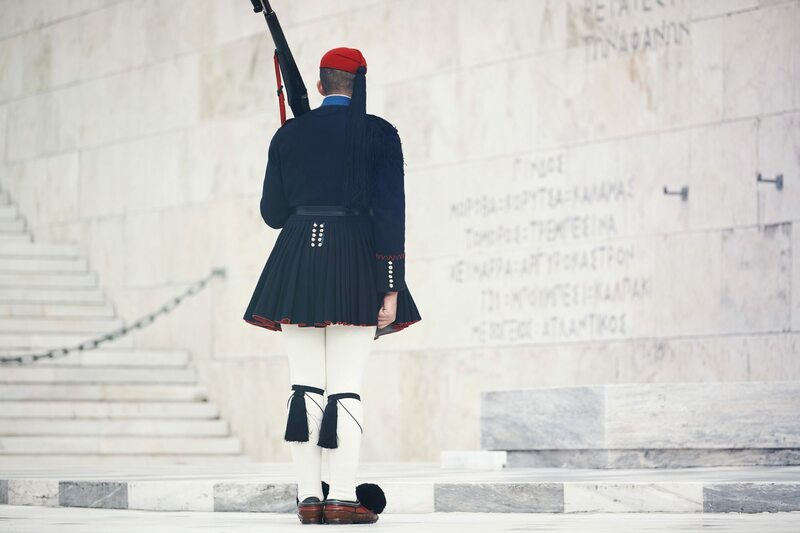 The building, a symbol of modern Athens and new beginnings, overlooks Syntagma Square, where politics and progress meet. The labyrinthine streets around the Acropolis are evidence of the city’s new state of mind. In the lively hub of Psyri, colourful street murals and hip stores selling vintage records or handmade Greek sandals intermingle with new outlets such as a luxurious hammam that speaks to Athens’ Ottoman past. 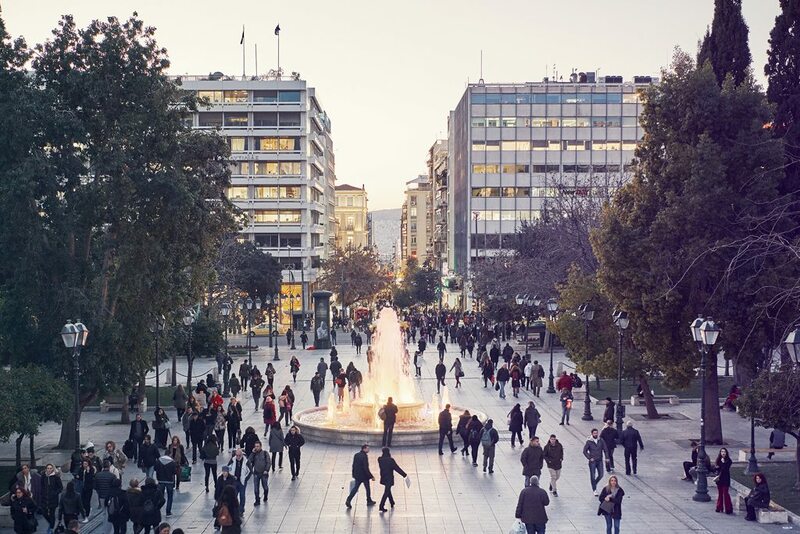 In Syntagma, between the embassies and privately run museums housed in neoclassical mansions, a grid of hidden lanes and back streets is home to a wealth of specialty stores and a dynamic food-and-drink scene where traditional and contemporary ideals coexist. Mornings on Voulis Street see queues of people at Ariston bakery waiting to buy hot kourou pies – delectable, half-moon-shaped pastries filled with feta – a local favourite since 1910. Later, over at Sushimou, people without reservations are turned away from the 12-seat restaurant run by Greek sushi master Antonis Drakoularakos, recently listed among the top 100 chefs in the world. When the former physicist decided to change course, his love of food took him to Japan. He returned with the skills of a true itamae (trained head sushi chef), reworking Greek fish recipes into Japanese masterpieces and fusion dishes that change according to the day’s fresh catch. Heteroclito, just off the iconic Mitropoleos – the street named after Athens’ largest church and its centre for orthodoxy – is one of the city’s thriving wine bars offering native varieties like Malagousia or Savatiano, little known outside Greece but delicious enough to propel you to the nearby wineries for a visit. Kolokotroni Street rules the after-dark scene, with the best and buzziest bars serving up signature cocktails. Walking around the city, especially when I return home from my frequent travels, I can still sense the rawness of Athens, a place on the cusp of change, of something significant. The ancient city’s refrains of revival and rebirth seem to be finding new voice yet again. 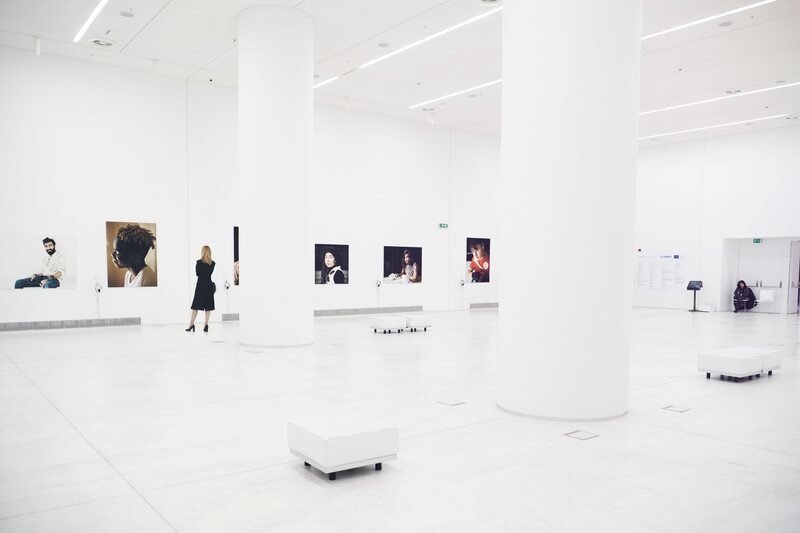 In 2009, the Gagosian Gallery empire chose Syntagma as the location for a satellite exhibition space, placing Athens among its other European outposts: Paris, London, Rome and Geneva. Locals – like George Vamvakidis and Stathis Panagoulis – have been a primary driving force in the city’s contemporary art scene. The duo’s gallery, The Breeder, has provided a platform for emerging Greek artists for the past 16 years. Since the turmoil of the Greek financial crisis, The Breeder has focused on providing international visibility for many of its artists. “The gallery took on the task of dynamically promoting a dialogue – political, social and creative – between Athens and the rest of the world,” Panagoulis says. The conspicuous charms of Athens present themselves – old and new worlds woven together by majestic avenues and the legacies of people who, through the ages, have left their stamp on this spectacular view. Their gallery space was one of the first to move into the almost abandoned Metaxourgeio district in 2008, now a dynamic art precinct. “As Athens is rapidly becoming a hub for artists, curators and creative people from all around the world, the Greek art scene has truly become international,” Vamvakidis says. An ever-expanding cultural calendar keeps residents and visitors creatively engaged in the evolution of the city. In what some see as a sign of change, the government’s Central Archaeological Council gave permission for a U.S. rock band, the Foo Fighters, to perform and film last summer inside the Odeon of Herodes Atticus. This stage, nearly two millennia old, had historically been reserved for operas and ancient dramas. Traditional shows and venues continue to draw actors, audiences and visionaries who infuse them with new life. In summer, the Odeon’s stage comes alive with theatre and music during the Athens & Epidaurus Festival, which has held performances at venues around the city for more than 60 years. Vangelis Theodoropoulos, its artistic director, is pushing its boundaries with innovative ideas and a mandate to welcome international audiences; this year will include a concert by Sting. And at the Ancient Theatre of Epidaurus, Theodoropoulos will stage a theatre program of ancient Greek works carefully curated to examine current social issues. Beneficence is an integral part of Athens’ history and continues to propel the city forward. The Panathenaic Stadium was rebuilt thanks to the generosity of Georgios Averoff, a wealthy Greek merchant from Egypt looking to ensure the legacy of Athens as a modern city. He funded the completion of the stadium to guarantee it would be ready in time for the first modern Olympic Games in 1896. Fast-forward a century or so to 2010, when the Onassis Foundation unveiled its avant-garde Onassis Cultural Centre with the mission of making modern cultural expression accessible to all. 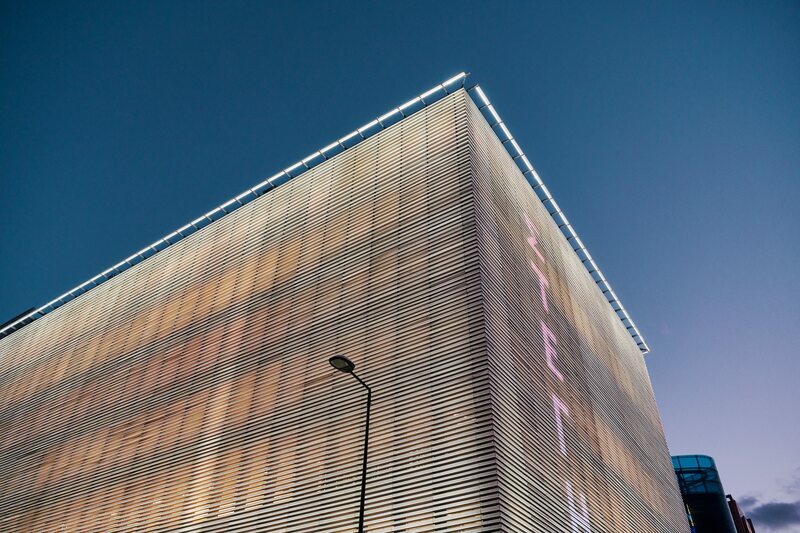 With multiple performance spaces and an exhibition hall, it showcases leading Greek artists like theatre director Dimitris Karantzas and choreographer Christos Papadopoulos, along with international stars. Last year, for its first public showing, the National Museum of Contemporary Art hosted the 100-day Documenta 14 exhibition series, founded in Germany and held every five years. Housed in a former brewery, the museum continues to run temporary avant-garde exhibitions and will officially open later this year. The renovated building includes a library, project room, space for educational programs, café, restaurant and media lounge. 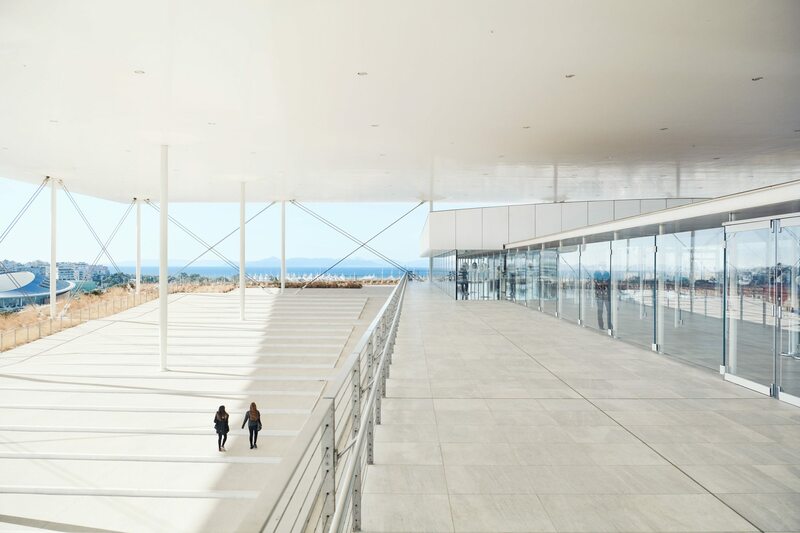 One of the most ambitious cultural and architectural feats in modern Athens was the opening of the Stavros Niarchos Foundation Cultural Center (SNFCC). The Foundation donated the EUR 620 million development to the Greek state in 2017; it houses both the Greek National Opera and the National Library of Greece. At the Faliro Bay, where the city meets the sea, the SNFCC is an ideal starting point for further exploration along the Athens Riviera that stretches 50 kilometres (31 miles) to Cape Sounion. 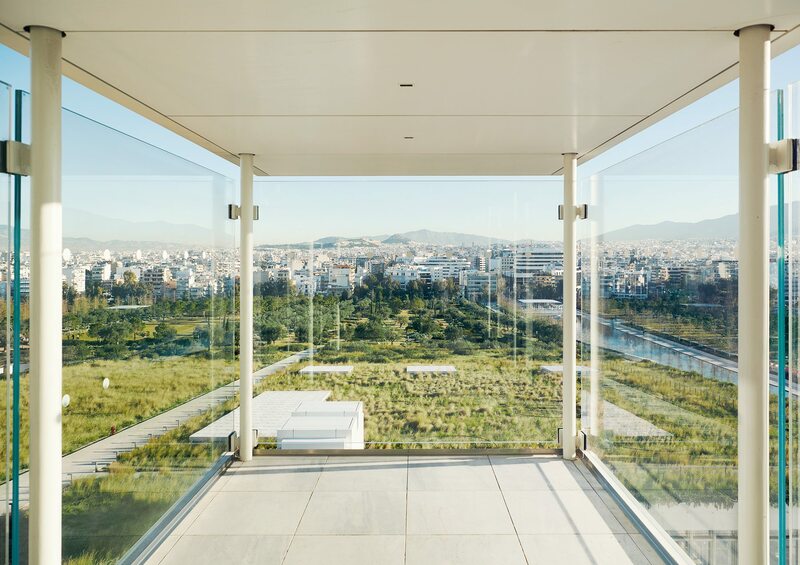 An elegant example of 21st-century architecture by renowned Italian architect Renzo Piano, the glass and concrete SNFCC building rises out of a hill that grants 360-degree vistas of the Athens skyline from its Lighthouse. The beauty of Piano’s design lies in its connections to the culture: An agora, that large gathering space so vital to ancient Greek society, features in front of the building as part of the surrounding Stavros Niarchos Park, along with a 400-metre (quarter-mile) canal reminiscent of the Phalerum, an ancient port that thrived here. Piano’s understanding of Athens conveys the broader cultural appreciation for and rediscovery of the city’s centrality. He has said that the beauty of Athens lies in its values of wisdom and knowledge, in civilization and humanity. Indeed, those are the values that continue to push the city forward. On a Sunday morning, I take my usual spot opposite the French Embassy for the parade of the Greek Presidential Guards. They march towards me along the grand, wide boulevard of Vasilissis Sofias, under a perfectly clear sky, snapping their tsarouchia – the traditional shoes with pom-pom toes – together in perfect harmony. It’s a symbol of Athens’ progress: This ancient city is marching ahead. It’s a place better than it was yesterday and a city still in the process of becoming, where the old and new meet and move forward as one. 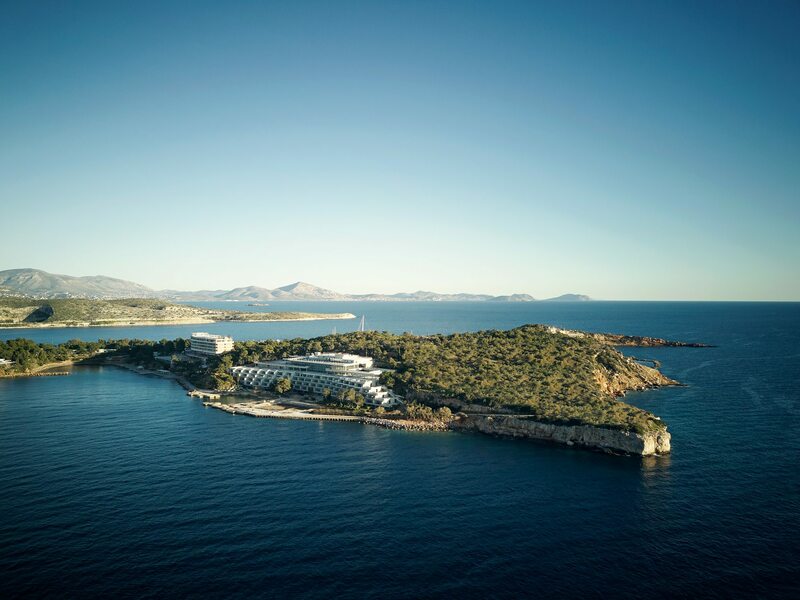 When Four Seasons Astir Palace Hotel Athens, currently in development, opens on a pine-clad peninsula in the Aegean Sea, Sam Ioannidis will be at the helm. 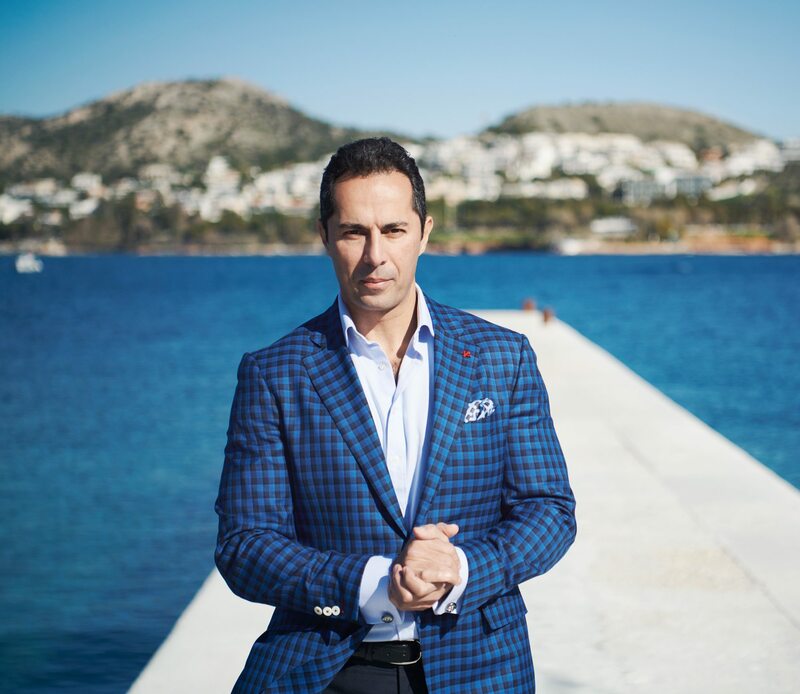 After two decades with Four Seasons – starting in the food-and-beverage world in Toronto, rising through the ranks to become general manager of Four Seasons Hotel Baku and later opening Four Seasons Hotel Abu Dhabi at Al Maryah Island – he’s returning to his Greek roots. Here, he shares his perspective on the Hotel’s role in the city’s reboot. You grew up partly in Greece, but you’ve lived in North America, Europe and the Middle East. How does it feel to return now? You can leave your home, but you can never leave your roots. From Day One it has felt like home – the rich culture and history, the sounds and smells are all so familiar. To be a Greek and open the first Four Seasons here? I wake up each day and pinch myself. What is your perspective on how Athens is evolving? What’s most exciting? There is a great deal of excitement in the air for a more prosperous time returning – a lot of interest and desire to invest. There is a resurgence and an energy; you can feel it. 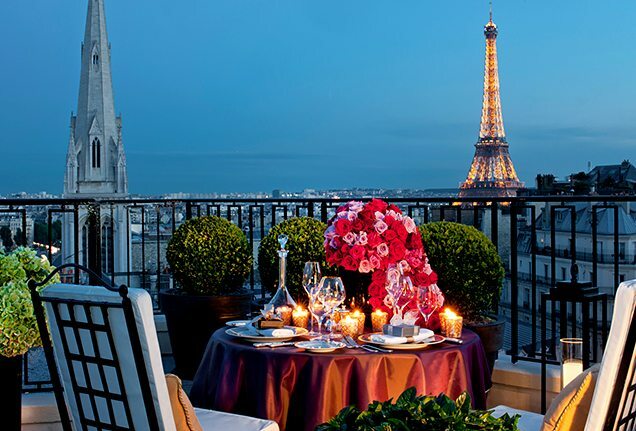 World-class restaurants and boutiques abound. Athens offers so much to experience. We are thrilled to be part of the renewal. How is the Hotel part of Athens’ evolution? Astir Palace has a legendary history that we will preserve and evolve for a modern era. Our focus is to support Athens as a destination, as well as local suppliers and artisans. By employing about 650 people, we’re providing a boost to the local economy and spending power, supporting Athens’ forward momentum. What makes the Hotel the perfect base for exploring Athens? The location is absolutely breathtaking. We’re surrounded by turquoise waters, with views of cliffside villages. We are only 20 to 30 minutes from central Athens, the Acropolis and the airport. Guests can stay on site and enjoy the beaches, rocky shoals and vistas, or go exploring to visit local shops and attractions. What activities do you recommend for getting a taste of the local culture? I think I’ve gained a few kilograms since I have arrived, as I have been enjoying the local restaurants and pastry shops! There are many to choose from: seaside shops and cafés where you can sit and admire the views. Venturing into Athens, you can dine with amazing views of the Acropolis. What are some must-visit landmarks or sights near the Hotel? Along the coast, there are incredible views of distant islands and the Mediterranean. And there are authentic little fishing villages – great spots to enjoy freshly grilled fish and Greek coffee. We have the temple of Apollo next to the property, and one of my favourites is Vouliagmeni Lake, surrounded by magnificent cliffs. What activities do you recommend in the city of Athens? The city is full of adventures. Most of the main attractions – the Acropolis, the Panathenaic Stadium and the Temple of Olympian Zeus – are in the middle of the city, near the Hellenic Parliament, where you can see the changing of the guard, and the Acropolis Museum, an architectural marvel itself. What’s something about Athens that not many people know? 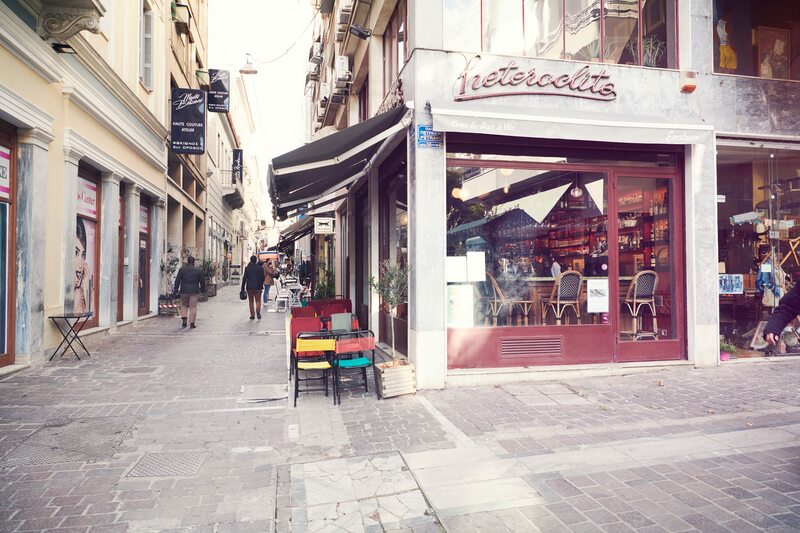 The hidden gems in every city are special, and Athens is full of them. You can walk from one block to another and the mood and feel changes – from high-end fashion strips to graffiti-filled hipster scenes. 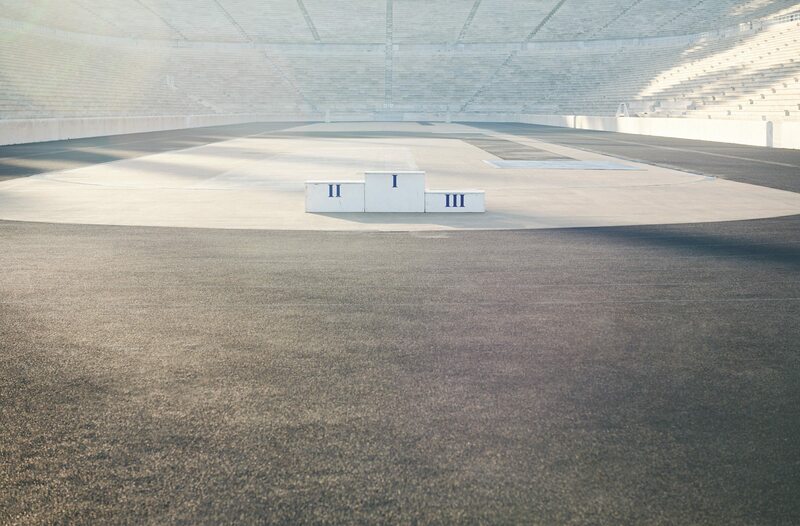 Greeks are quite the athletes, too, so there are a lot of world-class sports events to watch and to participate in. What aspect of the Hotel are you most excited about, personally? I am happy to bring authentic Greek artisan products into the fabric of the Hotel. I want to make fellow Greeks proud of our heritage and foods; we bring in as much as we can from local farmers and wineries. But mostly, I’m excited to show guests authentic Greek charm and hospitality.